A chemical element. A part of you. A hellish tale. A foretelling. Blue Flame… I burn with a blue flame. I’m the core of the earth and I burn with a blue flame. 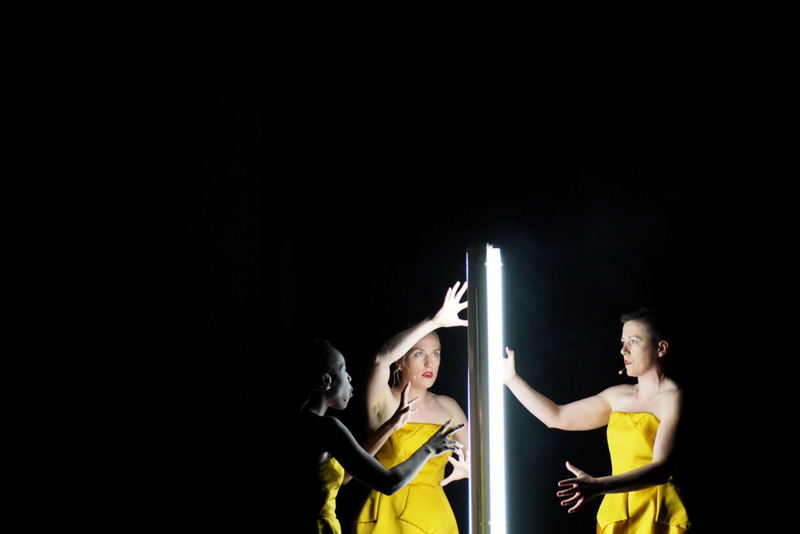 Sulphur, is a beguiling, playfully poetic and choreographic ensemble performance that considers the history and mythology of this most diabolical element. 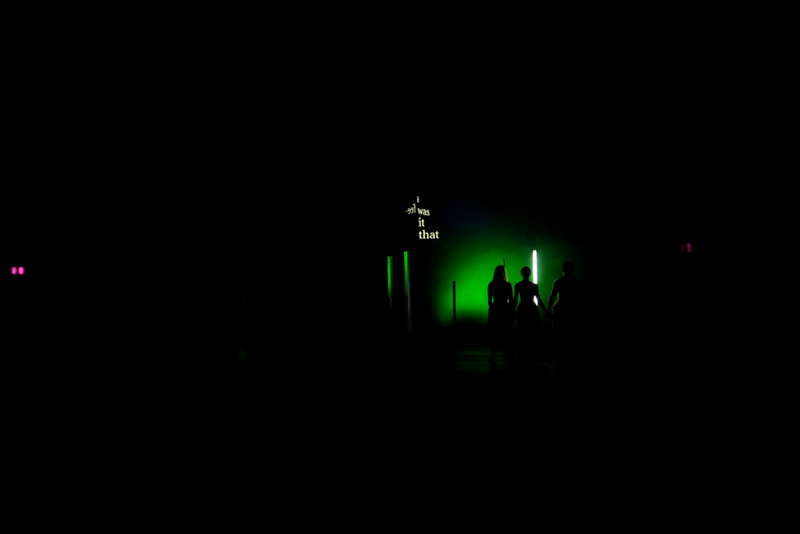 Together with the text, which ranges from the ancient to the futuristic, featuring contemporary performers Dora Jejey, Heather Uprichard and Jo Hellier, the piece also combines stunning video by John Hunter, sharp lighting design by Martin Langthorne and an experimental sound score by Ross Flight. Sulphur is the first in the series of a quartet of works Sheila is making under the title Elemental that will also include pieces looking at Atmospheric Forces, Breath and Flow. Sulphur premiered at Cambridge Junction as part of Cambridge Science Festival on Thursday 23 March, 8.30pm, part of a double bill of science inspired performance. Sulphur was then performed at Attenborough Centre for the Creative Arts (ACCA) on 4 April, 7.30pm. Commissioned by Cambridge Junction and Attenborough Centre for the Creative Arts. Research into Elemental was supported by a Wellcome Trust Research Bursary. Supported via South East Dance and Jerwood Charitable Foundation Dramaturg in Residence programme. With support from Battersea Arts Centre, Arc Artist Residency and Birkbeck Centre for Contemporary Theatre. Supported using public funds by the National Lottery through Arts Council England.